Litigation involving the permanent sterilization device Essure is costing its maker, the multinational conglomerate Bayer AG. In 2016, Germany-based Bayer incurred impairment losses of $413 million in connection with the Essure device, according to its annual report released Wednesday. Overall, Bayer had a record year for earnings. The company posted net income of $4.8 billion on revenue of $48 billion in 2016 compared with net income of $4.3 billion on revenue of $48 billion in 2015. Bayer's pharmaceutical segment also posted gains. Earnings before interest and taxes for its pharmaceutical segment increased by 11.9% from 2015, to $3.58 billion. More than 3,700 women have filed lawsuits against the Bayer Group in the U.S., alleging harm from the device. 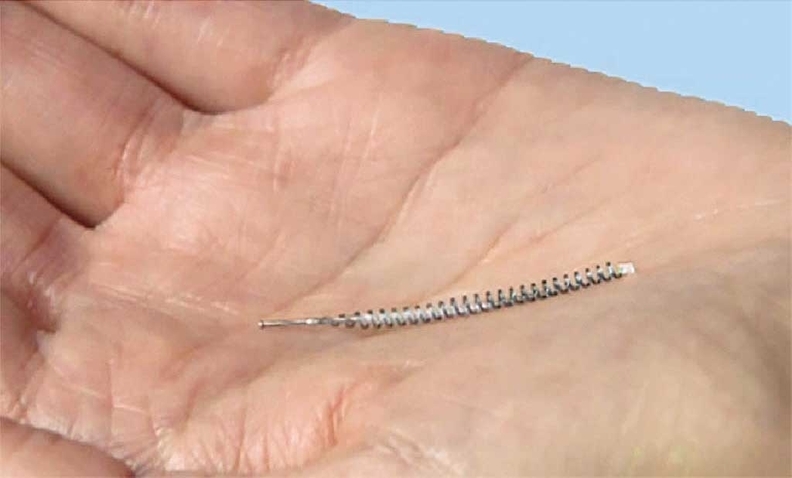 Essure consists of two metal coils implanted in the fallopian tubes that induce scarring to block the tubes and prevent fertilization. Overall, Bayer's earnings before interest and taxes for its pharmaceutical segment increased by 11.9% from 2015, to $3.58 billion (€3.389 billion). Bayer has stood by the safety and efficacy of the Essure device, amid mounting lawsuits in the U.S. and Canada, a black box warning issued last year by the Food and Drug Administration, and the news this week that Brazil suspended the device from its market. The annual report acknowledged the lawsuits, stating that approximately 3,700 users had filed them as of Jan. 23, 2017 and that more were likely to come. The scope of the lawsuits and the damage they have inflicted on the Essure brand may have exceeded Bayer's expectations. The company said that $277 million (€262 million) in expenses for “significant legal risks” mainly included accounting measures tied to legal proceedings related to three products, including Essure. It is not clear whether Essure's revenues, sales and distribution have declined in recent years as more Essure-associated injuries are reported to the FDA's Manufacturer and User Facility Device Experience (MAUDE) database and a growing number of women file lawsuits. So far, the FDA has received about 10,000 reports of injuries or harm linked to Essure. Since 2002, when the FDA approved the device in the U.S., Bayer has sold 750,000 Essure units around the world, the majority of them in the U.S., Bayer spokesperson Jennifer Brendel told Modern Healthcare in January. Per company policy, Bayer does not provide country-level sales data. The company has been presenting the same number for at least four years. In a 2013 filing to the Securities and Exchange Commission by Conceptus, the company that developed Essure before being acquired by Bayer in 2013, it said it had distributed 750,000 devices. The Essure device is marketed as being a simpler option for sterilization than methods such as tubal ligation or hysterectomy. It has been billed as a non-surgical procedure that requires local instead of general anesthesia and can be performed in a doctor's office rather than the hospital, so that most women can be discharged within 45 minutes and return to normal activities within 24 hours. Reports to MAUDE paint a different picture. Patients and physicians have reported allergic reactions and autoimmune responses to the device, device migration and persistent pain. Anecdotal evidence suggests strongly that fewer women are opting for the procedure. Dr. James Greenberg, an OB/GYN at Brigham-Faulkner OB/GYN Associates in Boston, said demand from patients for Essure had declined in recent years. He first implanted Essure in a patient in 2004 and for a time was implanting two or three a month, until recently. “If I put in one in the past year, I'd be surprised,” Greenberg said. Demand began falling “when the lawsuits started going up,” he added. Other factors could have contributed to declining demand for Essure, Greenberg said. Long-acting reversible contraceptives, like IUDs and hormonal implants, are increasingly accepted, he pointed out. A survey of physicians conducted by email in February for Modern Healthcare by SERMO, a social network site for physicians, found that a majority of OB/GYNs polled had seen a decline in the number of Essure devices implanted in the past five years. Out of 387 OB/GYNs who responded to the survey, 272 said they had implanted a patient with Essure. Of those, 217 said the number of devices they implanted annually had declined in the past five years, 29 said the number had not changed, and 26 said the number had increased.